Godaddy hosting have started offering WordPress hosting which offers perfect environment for hosting a WordPress sites. Their managed Godaddy WordPress hosting comes with inbuilt caching technology & unique server infrastructure. I always like GoDaddy for their domain services but never for their hosting. When they launched managed WordPress hosting & when I heard great things about it, I ended up trying it & I was impressed with the overall quality of service. Not only, installing WordPress on Godaddy is easy, you can easily manage your WordPress site. 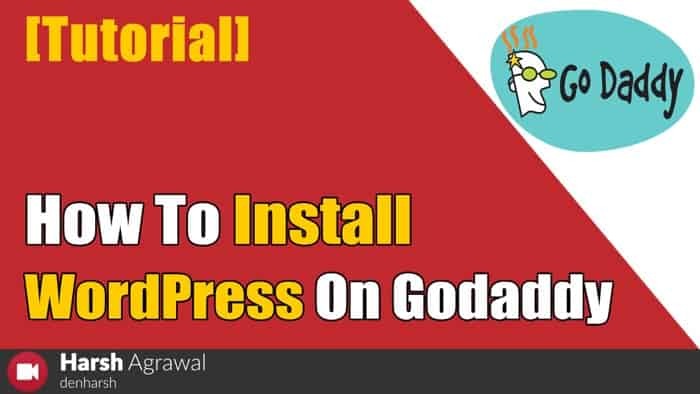 This is a video tutorial which I created to help newbie understand WordPress installation method on Godaddy managed WordPress hosting. Feel free to let me know if you have any question installing or setting up WordPress on Godaddy MWP hosting.